A luxury range of mosaic basins for counter top bathroom installation. 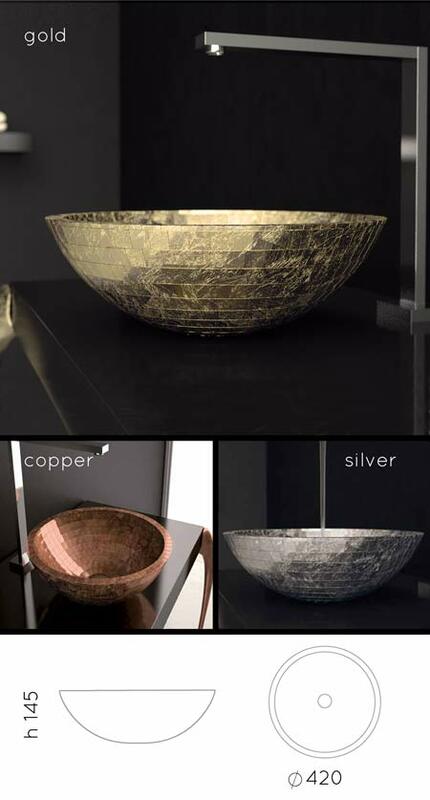 These designer mosaic sinks are made in a the latest composite technologies and are available in the 3 stunning finishes of copper leaf, gold leaf and silver leaf glass. All designer basins are supplied to special order. Please note this composite mosaic sink includes the basin waste. * 3 beautiful sink finishes.